Today, Combell became the first Belgian hosting provider to meet the ISO 27001 standard. This standard imposes many obligations regarding information security on the provider. “Our customers get the best guarantees as far as security of their hosting environment is concerned, comparable to what banks offer to their customers”, says Jonas Dhaenens, Combell’s CEO. “Our customers ask no less than the absolute certainty that their data is secured. This is precisely the reason why we scrutinized our complete organisation and implemented the strict conditions of the ISO 27001 standard one after the other. That went from advanced risk management and the separation of responsibilities to the analysis of our operational procedures. When necessary, we made a few corrections”, says Kelly Wauters, Quality & Security Manager at Combell. 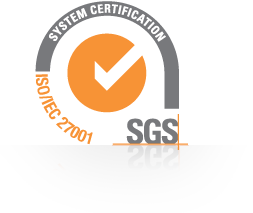 The ISO 27001 standard is an international standard for information security management. From now on, Combell plans to conduct an extensive audit (ISO 9001 combined with ISO 27001) in order to guarantee that all standards are strictly observed. This way, procedures within Combell are continually optimised. Combell divides its activities into two customer segments: individuals and small entrepreneurs, who need unmanaged products, and large companies, that are looking for managed solutions. Jonas Dhaenens, Combell’s CEO: “It is especially for our large customers that a strict security standard is very important. Combell e.g. hosts complex websites and applications of multinationals such as Q8 and Pizza Hut. In addition, we also work for many public services. Rock-solid guarantees for the security and protection of data is crucial for all of these customers. Despite all the benefits on paper, switching to an external party for data storage is not an obvious move for many companies. This standardisation gives all these sceptical people the best guarantees with respect to the quality and security of cloud hosting at Combell.